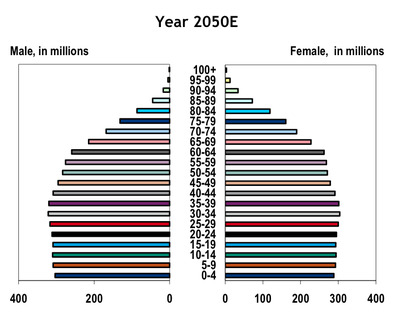 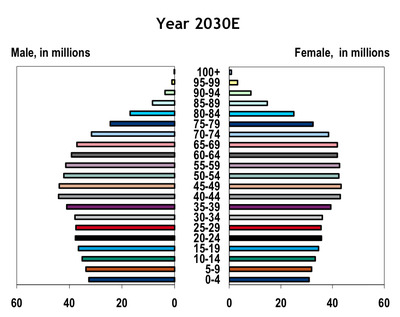 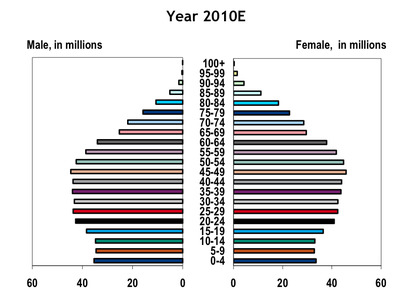 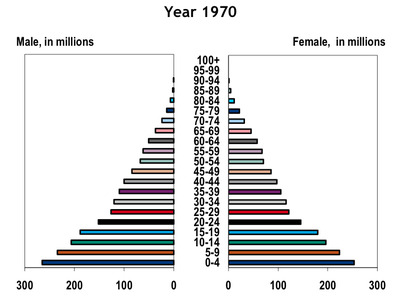 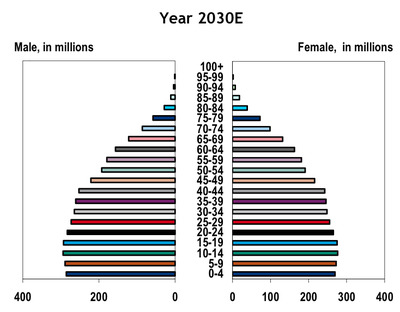 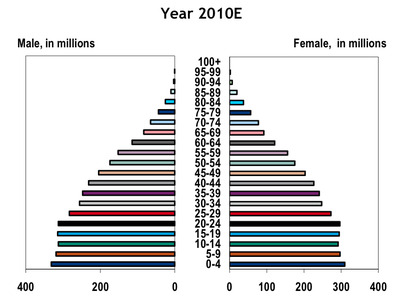 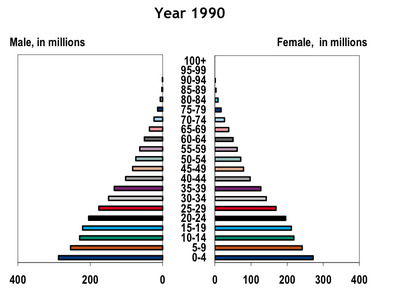 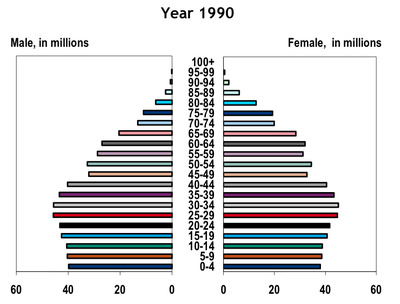 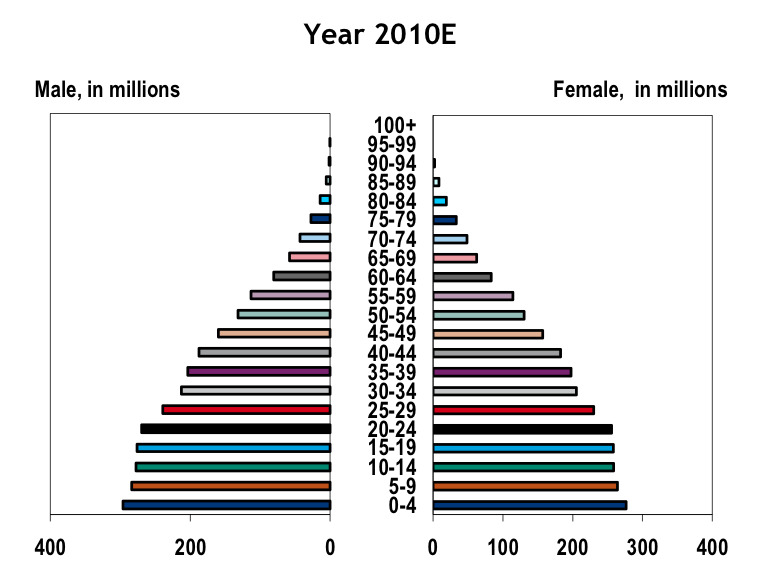 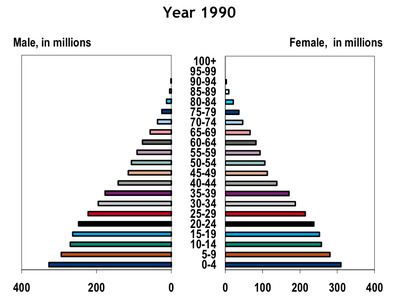 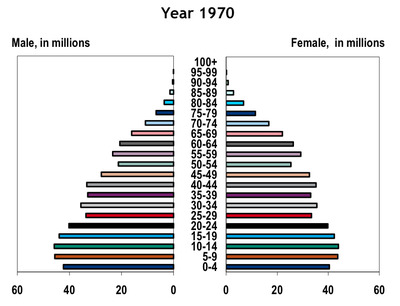 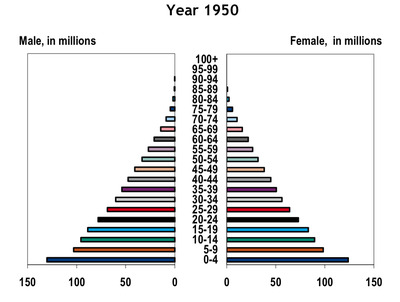 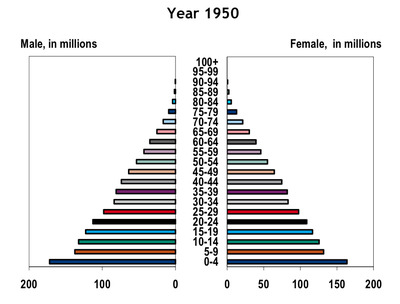 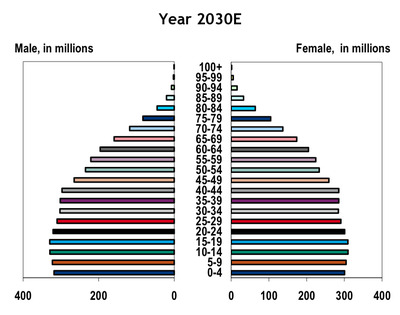 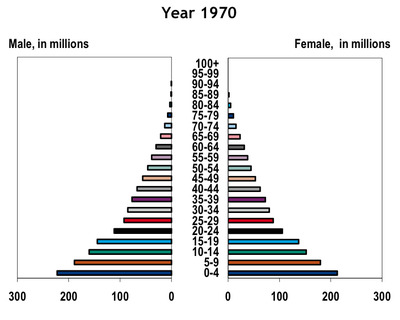 Bank of America/Merrill Lynch has published a huge report on Asian demographics.In it, the team lead by Sadiq Currimbhoy has published a fantastic set of population “pyramids” that show the way a given population breaks down by age at any given time. 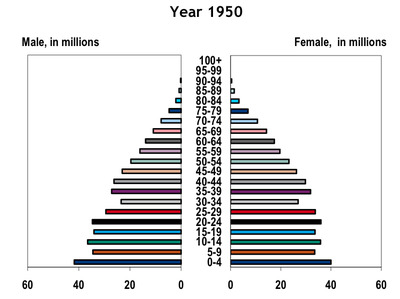 If you’re in the developed world, you’ll be depressed at how old you’re getting. 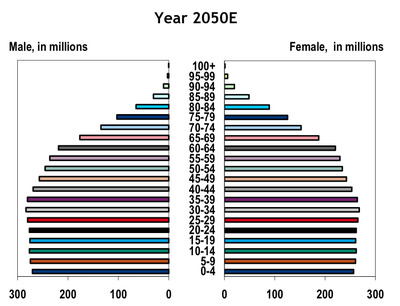 And if you’re in the developing world, you’ll see there’s years and years of relative youth ahead. 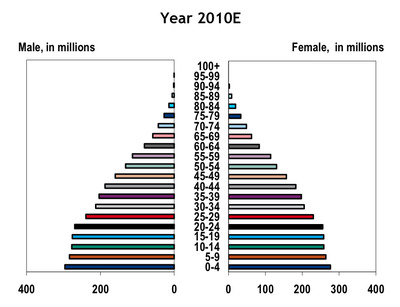 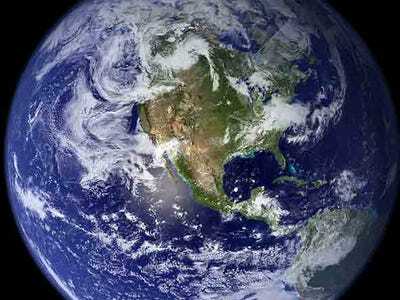 And for a much brighter picture, check out the developing world. 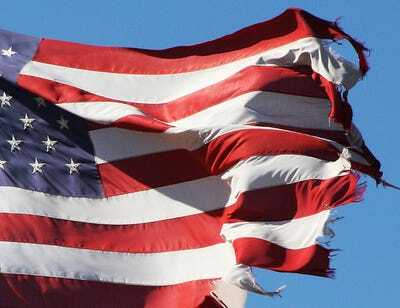 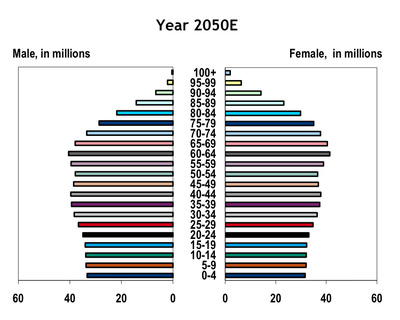 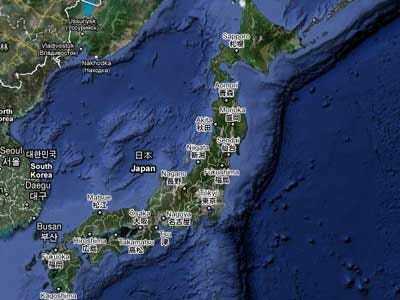 Even by 2050, it won't be that old.